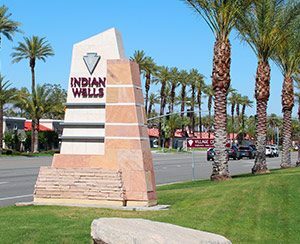 The City of Indian Wells is a resort community centrally located in the Coachella Valley. This small city has a ton of events, resorts and amenities into its borders. People searching for homes not in a golf course community will be happy to learn that residents gain access to discounts, amenities that are unparalleled in the desert. Benefits include; discounts at all four Indian Wells resort properties, the Indian Wells Golf Resort, and the BNP Paribas Open. The City along with its resort partners also hosts several exclusive events throughout the year including patio parties, socials, access to fitness areas and much, much more. While homes in Indian Wells often fetch a high price, these prices can easily be justified with the quality of homes, a central location, amenities and access this city provides their residents.